Stone mosaics are the predecessors of glass mosaics to a time when human technology had yet to invent the process for the creation of glass. 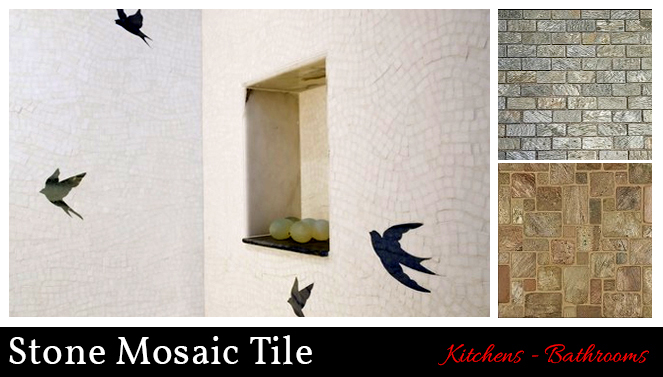 Regardless of how long stone mosaics have been around, just like the world, stone mosaics are constantly changing and evolving. 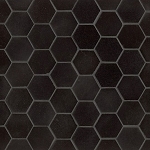 Tile-Stones.com has multiple patterns available for stone mosaics that will bring a unique blend of color and texture. 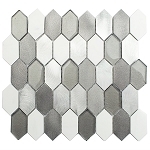 These are a perfect fit for fireplaces, flooring, showers and bathrooms. 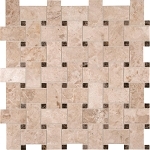 We have a selection of travertine polished mosaics including: Onyx polished, Ivoria polished, Fiorito, Durango, and much more. Take a stroll through our selection and we know you’ll find the perfect piece to install in your next build or remodel!